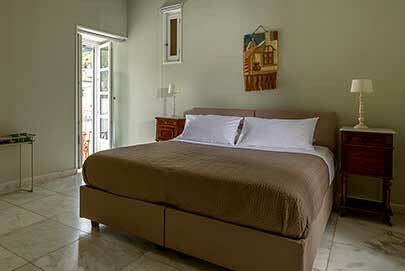 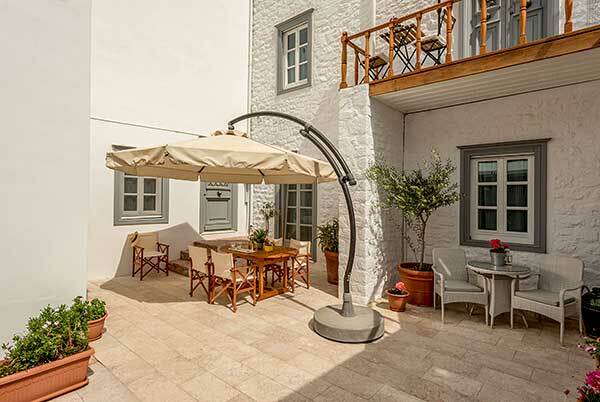 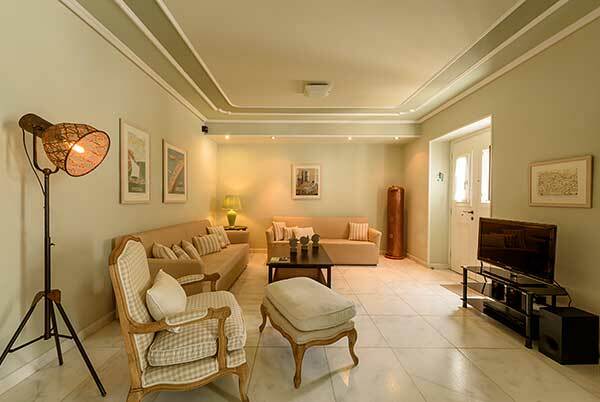 Placed on the first level of the house, the bright and airy double room of 25 square meters (270 square feet), enjoys great views of the amphitheatrically built Hydra town, accommodating up to 2 guests, ideally suited for couples. 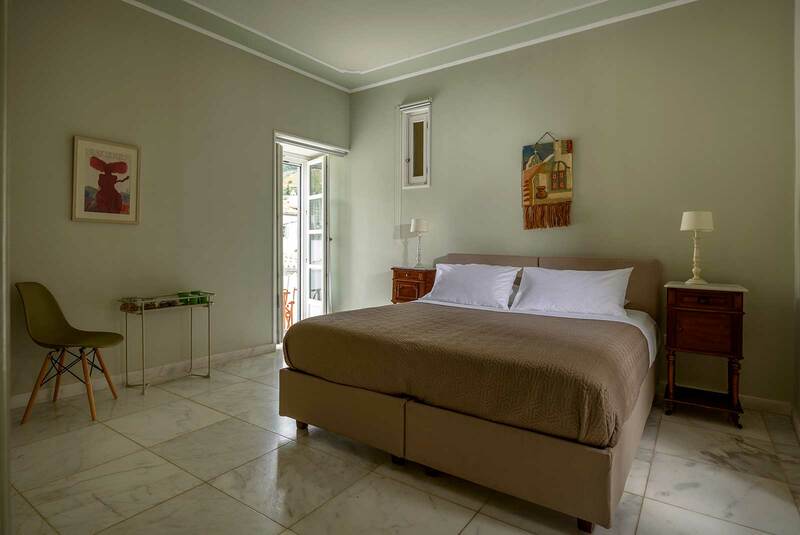 The Standard Double Room with its own entrance from a quiet and picturesque street, is a spacious room decorated in olive and neutral tones. 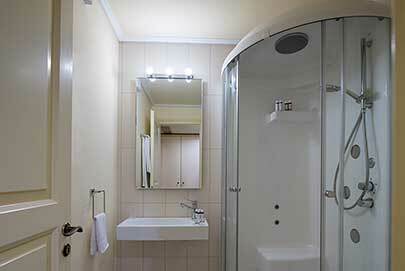 Twin bedded with a double bed set-up option by a special mattress topper, equipped with LCD Satellite TV and an en-suite bathroom with Jacuzzi shower facilities. 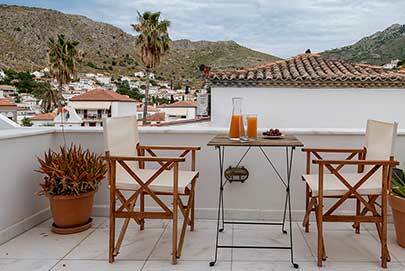 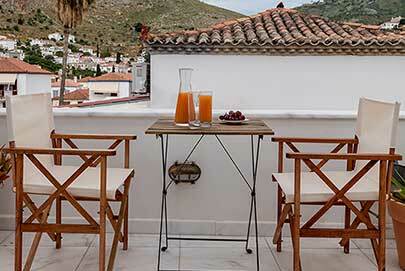 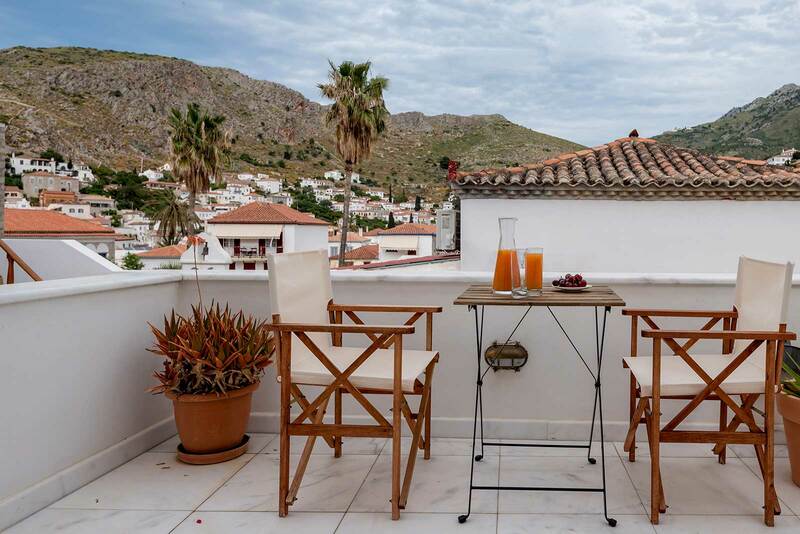 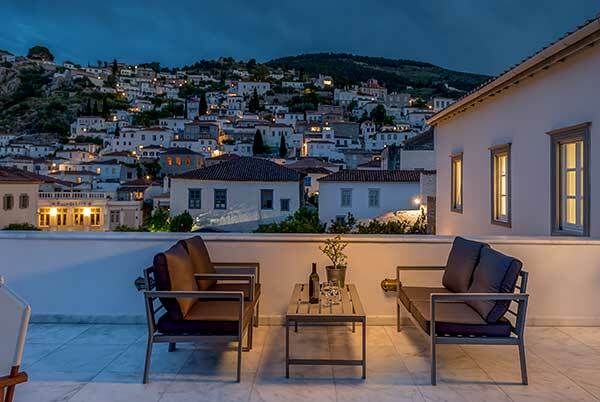 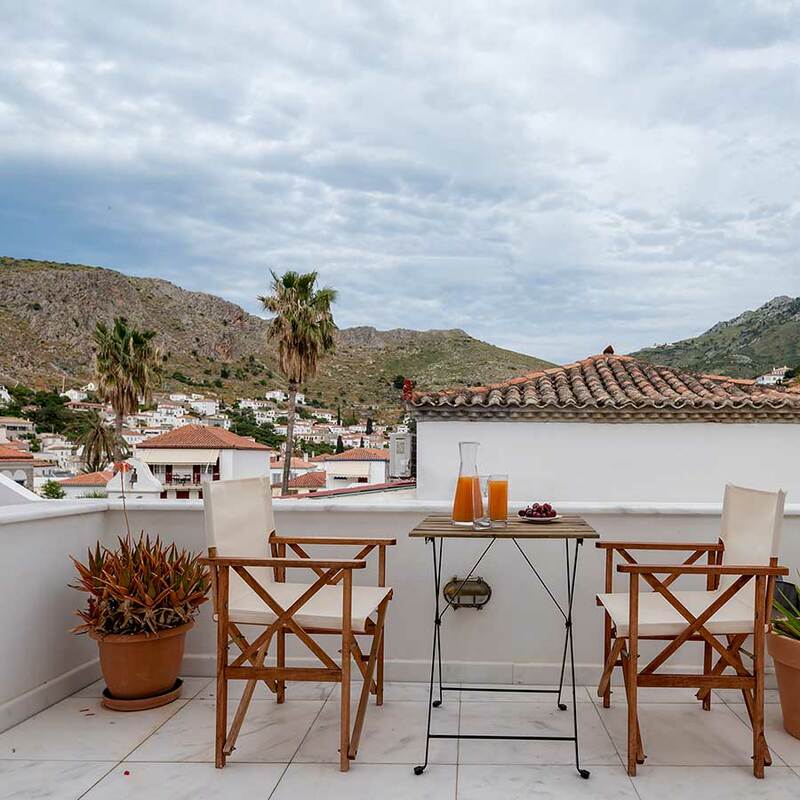 French windows lead to a lovely terrace with marble floor furnished with comfortable armchairs, where guests can relax in total comfort whilst taking in the panoramic views across Hydra town and the surrounding mountains.